Preparing for a generic interview is easy, but are you ready for questions that probe deeper? Below, four top call centre recruitment specialists answer 10 probing queiries, giving you a unique insight on how to respond well to tricky interview questions. I ask this later on in an interview. Candidates’ responses typically tell me far more about frustrations in their current position and reasons for wanting to move on than any ‘seeking a new challenge‘ answer they have given me earlier in the interview. As they are focused on what somebody else’s opinion would be and not their own, I often get a more honest picture about what they dislike in their job and what has brought them to an interview – from dissatisfaction with long working hours through to difficulties in working relationships, poor company policies, lack of real promotional opportunities, unhappiness with their remuneration or just outright boredom. I don’t want to be told that someone considers themselves a ‘firm but fair manager’ – what I do want to know is more about the realities of their relationship with their staff, what kind of teams they’ve recruited, trained and built and what faith they have in them. If a candidate is only going to take 25% of their staff with them then alarm bells go off. I ask this to give me an idea of their longer-term ambitions – whether they want to sit on a board or run a B&B, how far they feel they’ve come in terms of their personal aspirations and how long they see themselves working in the industry for. This gives me a clearer picture of what they personally feel they’ve had to overcome – from poor career choices through to lack of confidence and areas they perceive to have been a struggle. A good interview isn’t about a killer set of questions; it’s more about the approach you take with the candidate. It’s about probing deeper, once the initial answer has been given, and asking behavioural questions showing motivation and attitude. It is important to keep strong eye contact throughout. Without being a body language expert you can assess the candidate’s confidence and conviction in their answer and read signals to indicate when you should ask more. The mention of following up these specific points during referencing works too! While you’re probably already asking candidates why they left their last role, it’s a good idea to have them evaluate what they got out of it in a way that they won’t have already put on their CV. Asking them to discuss the lessons they’ve learned gives them the opportunity to show the way their last role has enabled them to grow – although a negative answer will give you a good idea of whether they’ve got the right personality and attitude to learning for your business. Candidates will always rehearse the positive answers to interview questions – but asking them about their weaknesses gives you the opportunity to see how well they can evaluate their skills. Obviously, there will be opportunities for those candidates who say “I’m perfect – I don’t have any weaknesses,” but it’s likely that you’re looking for someone who can look at things a little more objectively. If they can see the aspects of themselves that require improvement, it’s likely that they can view your business with a similar level of objectivity; and their drive towards improvement will serve both you and the candidate well in the long term. This is a great question for identifying the go-getters among your candidates. While helping them to demonstrate their drive and ambition, it also gives you a better idea of how long you can retain them in the role they’re applying for. If you’re looking for an employee who’ll stay with you for the long term, then the candidate who sees themselves as the future CEO might be better off on The Apprentice; however, if you’re seeking a driven individual who strives for success, the candidate who sees this job as their ultimate goal might not be the one for you. No one has a crystal ball as to how a customer or staff member may react if the situation were different, but the ability to look to the future, make a decision or predict an outcome before making it happen is essential. Understanding this can also help deliver insight into what truly matters to the potential applicant and what they take into consideration before they make these decisions. It is important in the customer contact industry for your new member of staff to understand that their actions do not affect just them. This question can help you ascertain how much of a team player or customer/business advocate they really are. 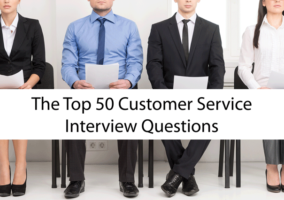 Answers: Great Interview Questions for an Inbound Sales Call Centre? Good advice is to try and be original. Don’t tell them what they are expecting to hear. Confidence is the key. If you have total confidence and self assurance then you can take control of the interview. People react well to this and helps them in turn. I will often ask candidates who was the worst colleague that they have ever worked with, and why. This has shocked me on occasions when you get a torrent of “This manager didn’t like me” / “This person had it in for me”. One lady was giving me text book answers, and looked a perfect candidate, but something felt wrong. When I asked this question, I got a ten minute torrent about previous colleagues. I would actually like to know your 10 top tips for a Team Manager/Leader when they are about to go for an interview of the same level but different company or department. Very good help in preparing for a job interview outwith my own profession. Great list and great information. As a hiring manager I often ask the odd-ball questions to see how people handle uncertainty and to see how quick they are on their toes (have to be quick with many customers, especially the irate ones). One of the best questions (in my opinion) is to ask what kind of boss/manager the interviewee would like to have (describe your ideal manager). You will most likely hear all the opposites of the manager he/she felt was the worst manager. You can then decide if your management style is a good match. Remember, the interviewee is interviewING you and your company as much as you are interviewing him/her. A great fit is the objective, so really listen to what the candidate has to say and then you can decide if you feel the job is a good fit for you, your company, the teammates and for the candidate. Some of your questions can open up a can of worms should the interviewee decide to go to the EEOC and complain about why they didn’t get the job. 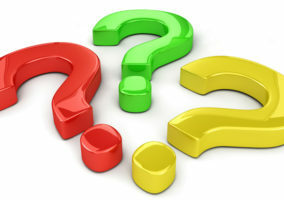 It’s fine to ask hypothetical questions; but leave the home/family life/age questions out.